Delicious raw pesto from premium peruvian black "botija" olives, dried and processed with extraordinary care below the temperature of 40°C. For real gourmets. 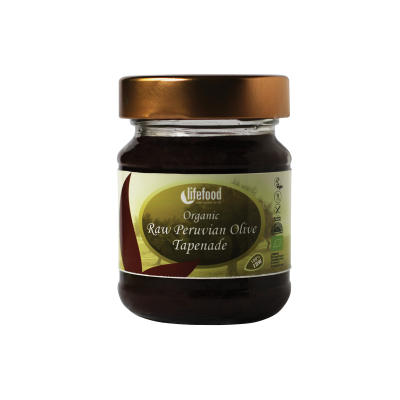 Traditional Mediterranean recipe now in its purest and raw form using the best dried raw olives. 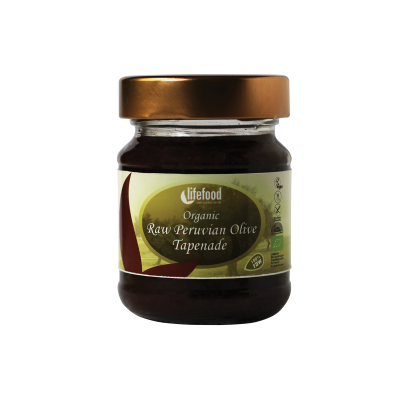 Delicious as a spread or as a dip with raw crackers, breads or raw vegetables and is also enjoyed on its own or as part of a salad dressing. Olives Pitted* (83 %), Extra Virgin Olive Oil*, Unrefined Sea Salt. May contain traces of nuts, sesame and mustard seeds, soy and celery.